KISSIMMEE, Fla., July 20, 2007 – Kissimmee Utility Authority (KUA) president and general manager Jim Welsh today was re-elected chairman of the Florida Municipal Power Agency (FMPA), a wholesale power company supporting municipal electric utilities throughout the state. The announcement was made during the agency’s annual meeting in Palm Beach, Fla.
Welsh has served on the FMPA board since 1982, including terms as assistant secretary-treasurer, secretary-treasurer, treasurer, vice chairman and chairman. The board’s chairman serves a one-year term. Welsh holds a Master of Business Administration degree from the Crummer Graduate School of Business at Rollins College and engineering degrees from the University of Pennsylvania. He holds membership in the Institute of Electrical and Electronics Engineers, Inc. (IEEE). Welsh has headed the utility in Kissimmee for the past 24 years. 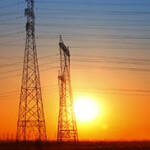 FMPA (www.fmpa.com) is a nonprofit, joint action agency formed to develop competitive power supply and related services for 30 member municipal utilities. These members collectively serve approximately two million Floridians.